Enrique Castro Quini died on Tuesday in Gijón from a heart attack. He was 68. Nicknamed “El Brujo,” or The Wizard, Quini was one of the most prolific goal scorers in the history of Spanish soccer. Few players have been as well admired as Quini, who was praised for both his skill on his field and his good sportsmanship. 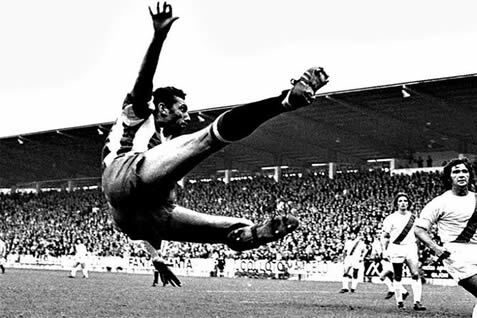 He made history with the team Sporting de Gijón, playing alongside his brother and goalkeeper Jesús Castro, and coming in second place in the 1979 championship. In 1980, he signed with FC Barcelona, joining other legendary players such as Diego Maradona and Javier Urruticoechea on a team that looked set to win the championship. Then, on March 1 1981, Quini was kidnapped at gunpoint by two individuals. The kidnapping shocked Spanish society. Quini was freed 25 days later, the same day that Spain won against England at Wembley (1-2). Just hours after he was let go, the magnanimous sportsman came out to publicly forgive his kidnappers. But FC Barcelona, which was then managed by Helenio Herrera, did not recover from the blow and ended up losing the title to Real Sociedad. In 1993, Quini was faced with another life-changing event: the death of his brother Castro, who died shortly after saving two English boys from drowning off Pechón beach in Cantabria. Quini became one of Barcelona’s most valuable players, earning around 83 million pesetas (around €500,000 today). He played with Barcelona until the 1983-84 season and then returned to Sporting. Quini’s last match in the league was on June 14, 1978 – against his former team Barcelona. He ended his soccer career having played 448 games and scoring 219 goals. After retiring, Quini became a representative for Sporting and was the face of the club’s international relations. In Gijón, his son opened a restaurant named Dquini, which is decorated with images from his father’s spectacular career. The death of Quini has been deeply mourned by the soccer community. Spanish player David Villa shared this touching message, “When I was making my first steps in in the profession I had the luck to receive advice from the best Spanish forward of all times. I would never have got where I am today without your help at the beginning of my career. I will be eternally grateful my friend.